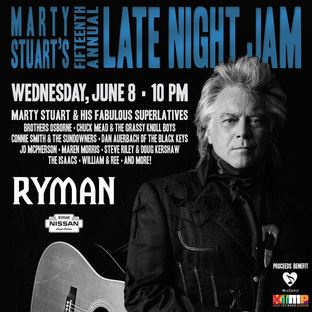 Each year, CMA festival-goers pack into Nashville’s Ryman Auditorium for Marty Stuart’s annual Late Night Jam. The event, which usually runs into the early morning hours, attracts some of the genre’s biggest and fastest-rising stars. For 2016, Stuart recruited hit makers Maren Morris and Brothers Osborne for the June 8 concert. Dan Auerbach of rock band the Black Keys also joined in on the festivities, along with Chuck Mead and the Grassy Knoll Boys, Steve Riley and Doug Kershaw, Williams and Ree, JD McPherson and The Isaacs and bonus appearance by Aerosmith front man Steven Tyler. 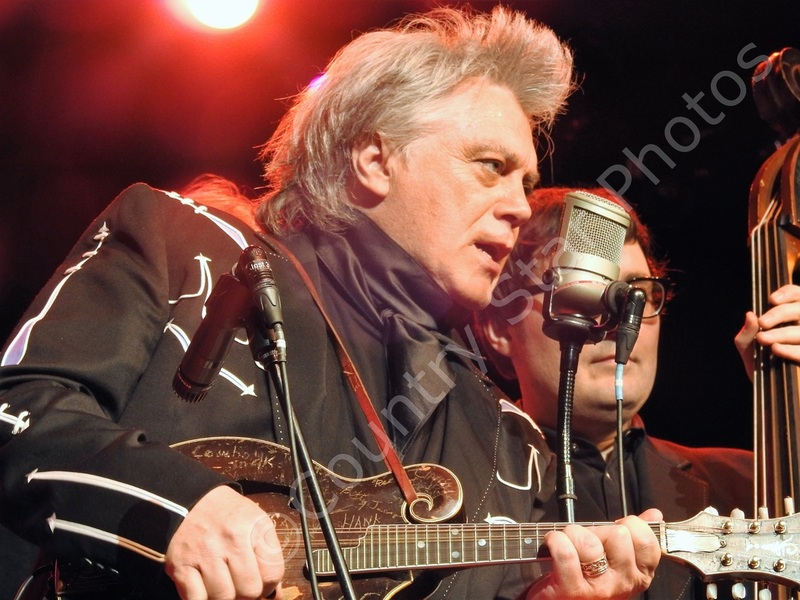 Marty Stuart has been hosting his Late Night Jam for 15 Years this year. ​Marty was born in Philadelphia, Mississippi on September 30, 1958. He began playing and touring at an early age. From 1972 (at age 14), he began playing in the band of the legendary Lester Flatt. In 1979, he released his first solo album With a Little Help From My Friends, on Ridge Runner Records. ​He is also an avid photographer. ​He is married to country songstress Connie Smith.